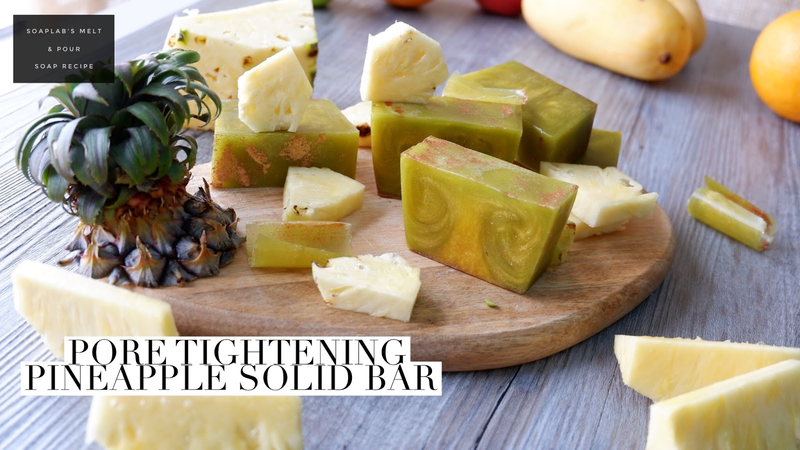 Hi all, today we will be making a pore tightening pineapple solid bar. Firstly we will need a transparent soap base, you can easily get this from us at SoapLab. The ones in SoapLab Malaysia is handmade after a series of experiment and we made it such that we didnt add any alcohol like the ones added to the transparent soap base available outside in the market currently. You can read all about our experiment here.It's made with enriching oils, that your skin won't even feel dry after showering! Next, some fresh pineapple juice that helps brighten skin by getting rid of dead skin cells. Pineapple juice also contains an enzyme; Bromelain, that helps tighten skin and leave you looking younger and feeling great about yourself. No need for any harsh, and worse, UNKNOWN chemicals in your skincare, just make them yourself at home.